Few studies have empirically examined how individual differences interactively influence the entrepreneurial intention amongst students enrolled in information and communication technology (ICT) programmes. To fill this research gap, this paper reports the findings of two studies. The first study confirmed the factor structures of personality traits and entrepreneurial intention based on a sample of 274 ICT students. The second study examined how these personality traits interact to influence the entrepreneurial intention of 415 ICT students. The results revealed that entrepreneurial intention comprises two dimensions: conviction and preparation. The traits of openness and conscientiousness positively influenced both dimensions, whereas extraversion and neuroticism did not influence them significantly. Only agreeableness negatively influenced entrepreneurial preparation. 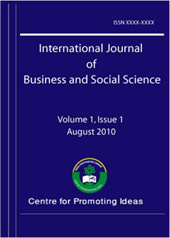 Moreover, openness and conscientiousness interacted to influence entrepreneurial intention.